Plans are important. It’s often said that if you fail to plan, you plan to fail. And that’s not something you want to risk when it comes to your business—or its packaging. A packaging strategy is a plan that’ll help you protect your products without breaking the bank. And a strong packaging strategy will help you pare down your packaging to the absolute necessities. 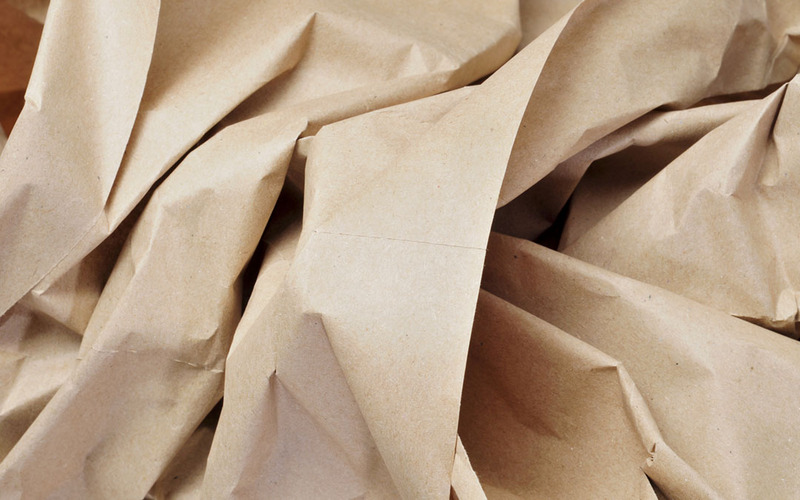 Here’s 5 ways your business can reduce packaging waste to save money and help the environment. This one benefits everyone: you, your customers and the environment. Most packaging is made from paper—corrugated boxes, mailer boxes, most mailer envelopes—meaning you and your customers can put it in the recycling bin and be done with it. But there are other packaging supplies that have become eco-friendlier, or have eco-friendlier options. Poly mailers are accepted by more recycling facilities now, and that includes both the bubble-lined and unlined versions. Clear packing tape hasn’t joined the party yet, but water activated tape has. Many versions now use adhesive that’s vegetable starch-based, or at least biodegradable, and the fiberglass reinforcement inside is harvested during recycling. Plus, WAT has the added benefit of being stronger and more secure than clear packing tape. You know who pioneered this idea—and credit where credit’s due, it’s a good one. We’ve all received a package so dense with materials that opening it was a chore (if not absolutely infuriating!). Frustration-free packaging is intended to curb all of that, creating packaging that’s easy to assemble, easy to open, easy on the budget, and easy on the environment, too. The goal is to use 100% recyclable packaging materials, so once your customer’s done opening their shipment, everything moves onto the great blue bin in the sky. Any materials used to seal the packaging needs to be easy to apply, and easy to remove. Peel and seal adhesive strips make closing mailer envelopes a breeze, some envelopes include an easy tear strip to make opening it is just as much of a breeze, and some even have a second peel and seal strip to make it returnable—should the need arise. And if the actual primary packaging of your product can act as its shipping packaging, you’ll be nailing the frustration-free packaging thing. Selling basically any kind of product online (no matter how small, perishable or obscure), along with the advent of dimensional weight shipping, has led e-commerce stores to be clever and compact with their shipping cartons. Moving from boxes and void fill to mailer boxes and mailer envelopes has allowed them to keep protecting their products without destroying their packaging and shipping budgets. Minimize the footprints of your shipping cartons by investigating multi-depth boxes, corrugated mailer boxes and mailer envelopes. You’ll pay less for shipping packaging, use less supplementary packaging, and save on your delivery costs. Packing stations are a way to store and organize everything you need within reach. And depending on what you keep at your station, you can cut down on your packing times and reduce packaging waste. Automation gadgets like tape dispensers will help you control just how much tape you use on your shipments, and label dispensers will speed up the peeling and application of all those lovely graphics. Mailer envelopes can take the place of corrugated boxes and void fill for a wide variety of shipments. Bottom line, packing stations (and automation gadgetry) will help you reduce packaging waste. Don’t forget to schedule some employee training on your packing stations. A little orientation ahead of time will help to alleviate any start-up stress. Customers expect speedy delivery. And as business owners, we certainly want to provide them with that—which is why we’ll make partial shipments to get them their products as soon as we can. But that means using more packaging per customer order, and a greater hit to the packaging budget. Not something you want when you’re trying to reduce packaging waste. It may seem radical, but how about returning to the idea of one shipment per customer order? Sure, on the surface that seems like it could slow things down. But it can also be an opportunity to streamline warehouse policies, increase in-house stock levels, and—ultimately—reduce packaging waste. Worth thinking about, at least. A packaging strategy is vital to your business, and we think these packaging tactics will help you build a strong one. Finding ways to reduce packaging waste will not only benefit you and your business, but it’ll make your clients happier, and the environment healthier. Good luck!